Starbucks has announced that approximately 28,000 Bodum coffee presses sold at the retail chain have been recalled due to the potential for injury. 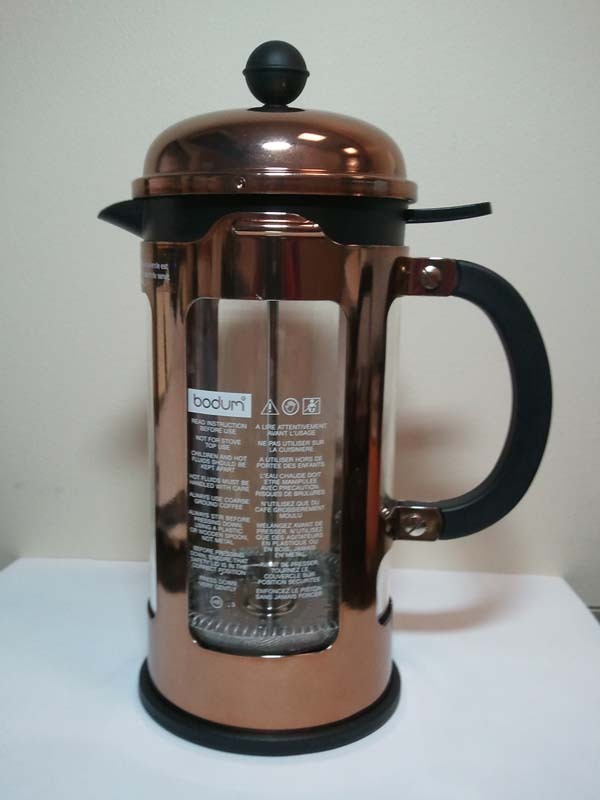 The recall involves Bodum rose gold Chambord locking lid 8-cup glass coffee presses. 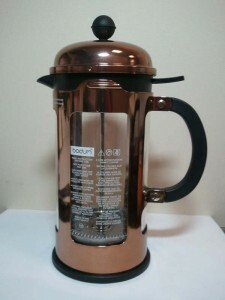 The coffee press’ glass carafe, screen, and plunger are held in place by a rose-gold colored metal frame with a black molded plastic base. It is possible for the glass carafe to fall out of the metal frame and plastic base, posing potential laceration and burn hazards. To date, Bodum has received 14 adverse reports, which include four reports of minor injuries including lacerations and burns. Wow, not good. Sold exclusively at Starbucks nationwide and online from November 2013 through December 2013, “Bodum” is printed on the locking lid. The SKU number, printed on a white label on the bottom of the base, is 11029732. This is not the first recall announced by the coffee giant, Starbucks. In 2011, Starbucks announced, and even had to expand, the recall of boxed sandwich products which they carried due to a Listeria concern. Double wow! It seems that Starbucks has had to experience recalls through no fault of their own. Perhaps they should stick to that which they are most known for, brewing coffee, and leave the food and retail products to other food and coffee chains.